Born in Havana, Cuba in 1948. 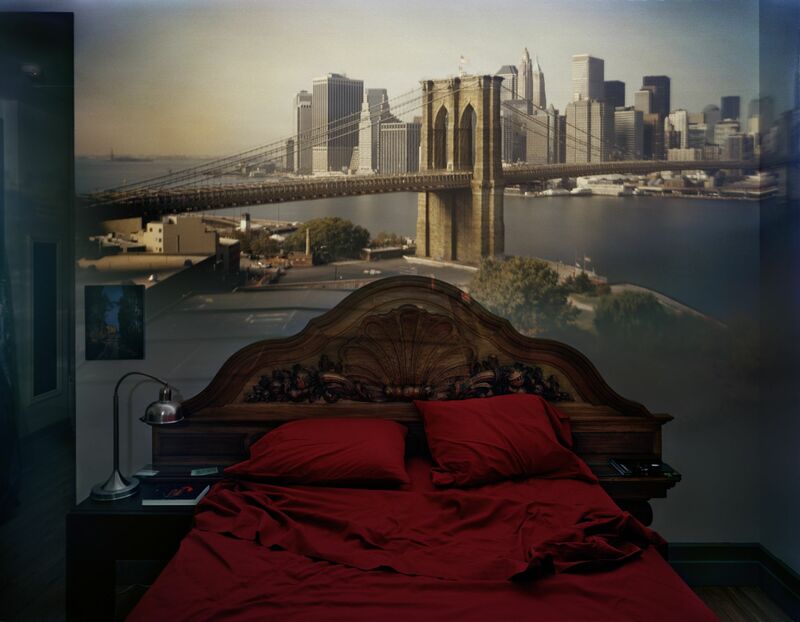 The connexion between “images” and “projection” is the key of Abelardo Morell’s works. He is interested in the historical photographic techniques: tintype, glass negative, collodion process, and other mediums. 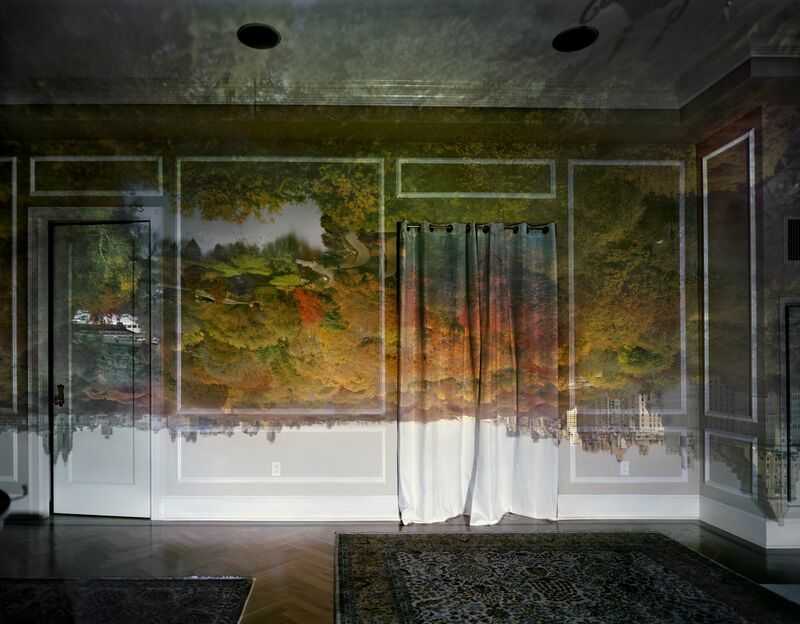 This technique gives to his images a pictorical effect. 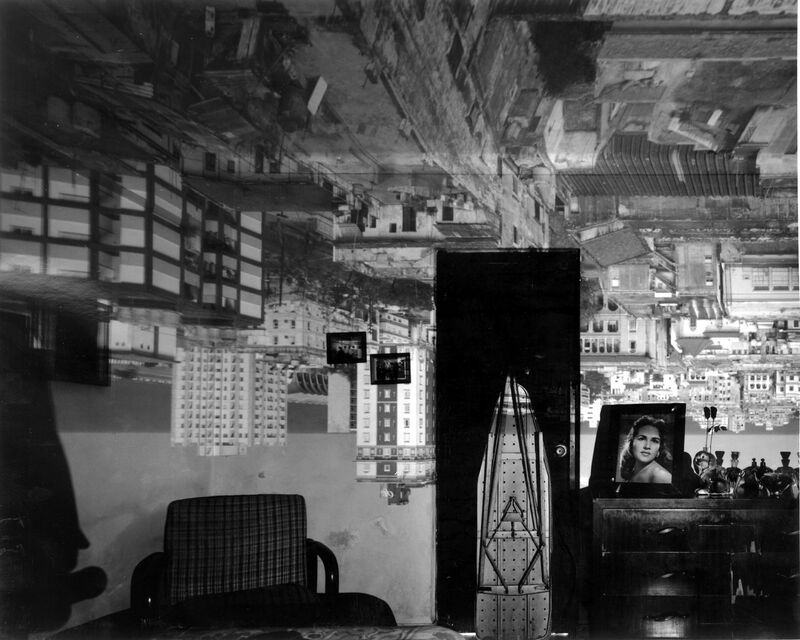 Cámara oscura serie explores the technique of the origin of photography; a projection of an open space in the wall of a room, with everyday objects (chairs, tables, a wardrobe…) each image is almost a recreation of those constructions that “used to capture” the exterior image to a dark room, where everything appears inverted. 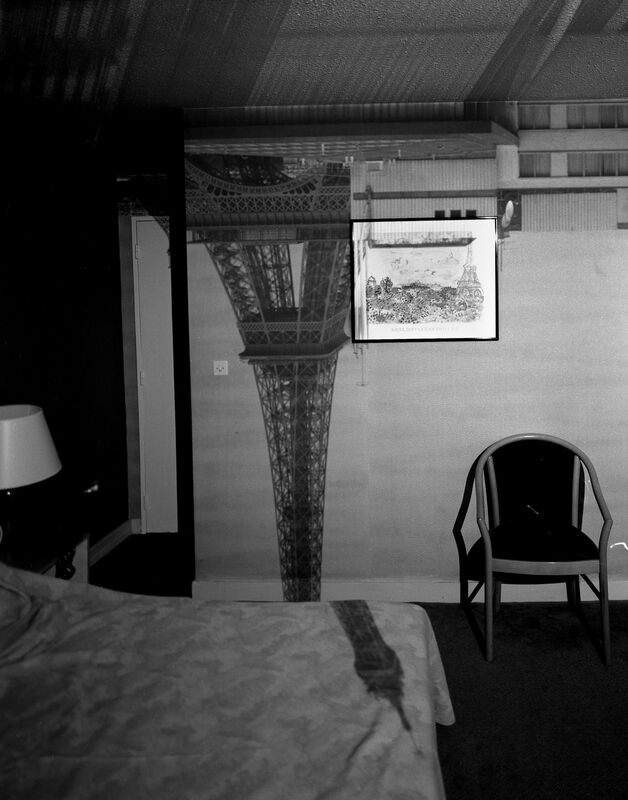 This projection tries to create a vertical effect and the paradox of seeing enormous spaces in small rooms. 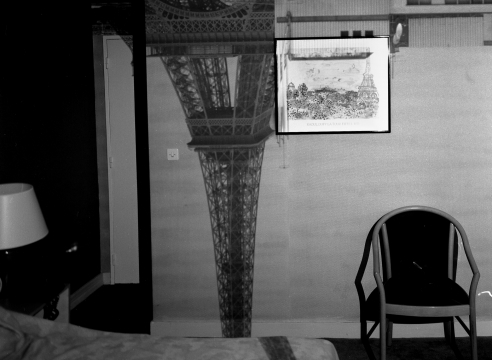 The domestic environment is covered with a huge image bigger than the dimensions of the room. Daily elements are a part of this projection and leave its mark through shadows and reflections. 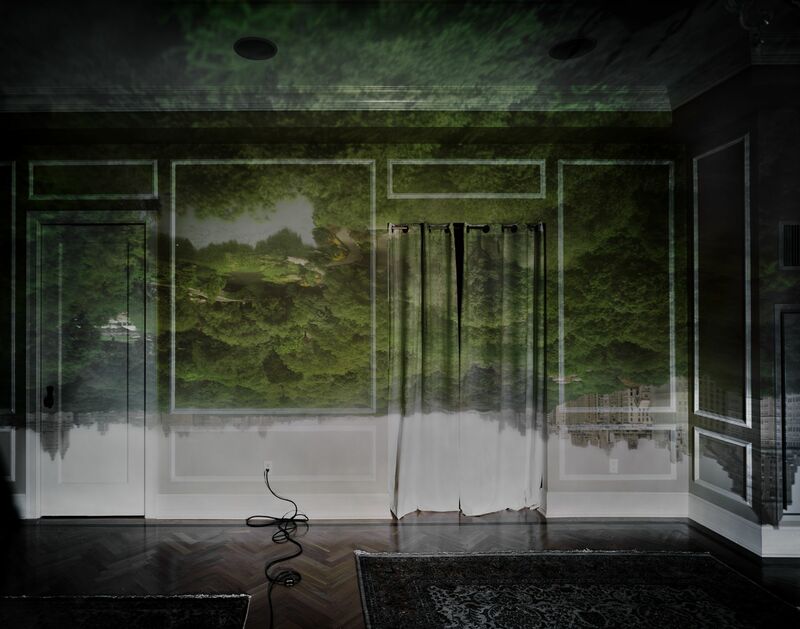 The colossal disproportion of the content and the structure becomes beauty, both paradigms create an hypothetical ambivalence of experimental fate. He moved to the United States with his par­ents in 1962. He lives with his wife, the filmmaker Lisa McE­laney, and his chil­dren Brady and Laura in Brook­line, Massachusetts. He has received a num­ber of awards and grants, which include a Cin­tas grant in 1992, a Guggen­heim fel­low­ship in 1994, a Rap­pa­port Prize in 2006 and an Alturas Foun­da­tion grant in 2009 to pho­to­graph the land­scape of West Texas. 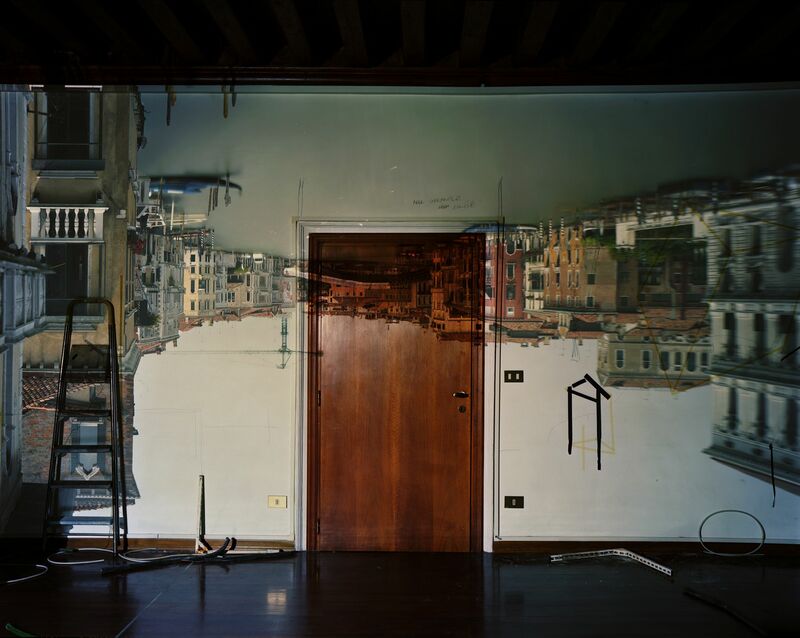 He received by the Inter­na­tional Cen­ter of Pho­tog­ra­phy the 2011 Infin­ity award in Art. His work has been shown and is part of the collection of many gal­leries, insti­tu­tions and muse­ums, includ­ing the MoMA, The Whit­ney Museum of Amer­i­can Art, the Met­ro­pol­i­tan Art Museum in New York, The Chicago Art Insti­tute, The San Fran­cisco Museum of Mod­ern Art, The Hous­ton Museum of Art, The Boston Museum of Fine Art, and The Vic­to­ria & Albert Museum in England. A ret­ro­spec­tive of his work has been orga­nized with the Art Insti­tute of Chicago, The Getty and The High Museum in Atlanta. His pub­li­ca­tions include pho­to­graphic illus­tra­tions of Alice’s Adven­tures in Won­der­land (1998) by Dut­ton Children’s Books, A Cam­era in a Room (1995) by Smith­son­ian Press, A Book of Books (2002) and Cam­era Obscura (2004) by Bulfinch Press and Abelardo Morell (2005), pub­lished by Phaidon Press. 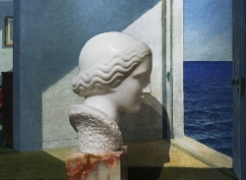 Recent pub­li­ca­tions include a limited edi­tion book by MoMA of his 'Cliché Verre' images with a text by Oliver Sacks. The film­maker Allie Humenuk has directed 'Shadow of the House', an in-depth doc­u­men­tary about Morell’s work and expe­ri­ence as an artist. TF Editores, Madrid (Spain); Phaidon Press, London (UK); 2005. 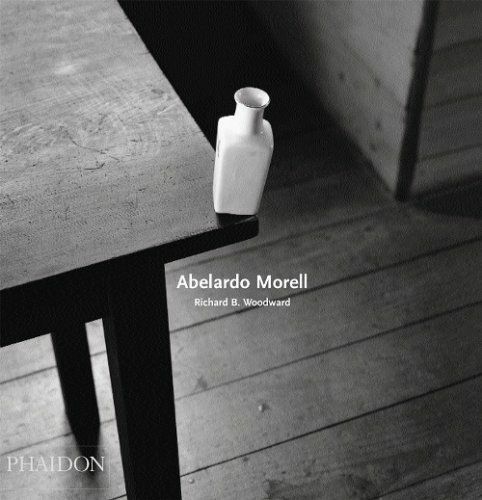 English/Spanish/French publication; 105 photographs spanning 30 years; 140 pages; 28,5 x 30 cm; hardcover. Bulfinch Press, New York (USA), 2004. English; 112 pages; 28,5 x 31 cm; hardcover. 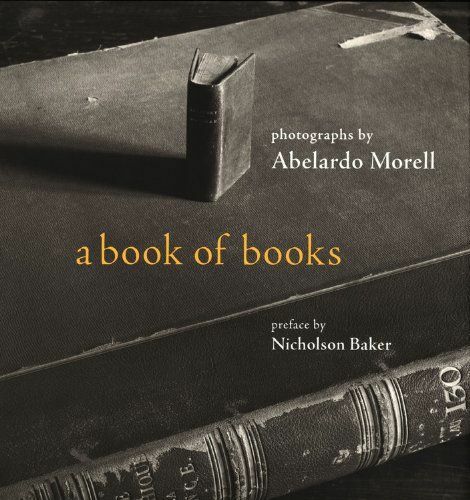 Bulfinch Press, New York (USA), 2002. English; 108 pages; 30,5 x 30,5 cm; hardcover. 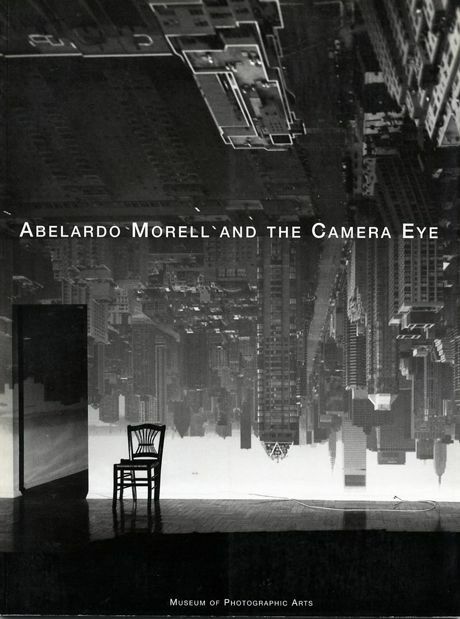 Abelardo Morell and the Camera Eye. 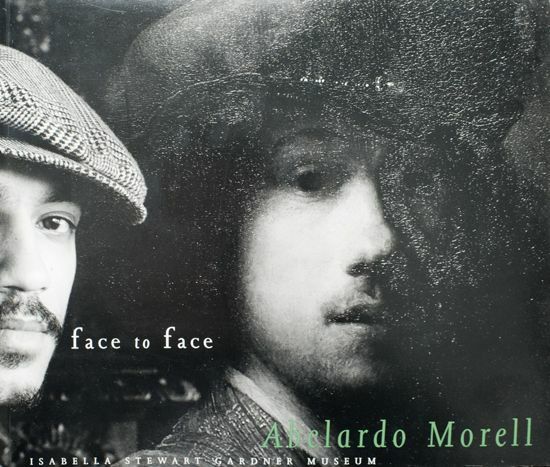 Museum of Photographic Arts, San Diego, CA (USA), 1999. English; 60 pages; 30 x 22 cm; paperback. Dutton Children's Books, New York (USA), 1998. 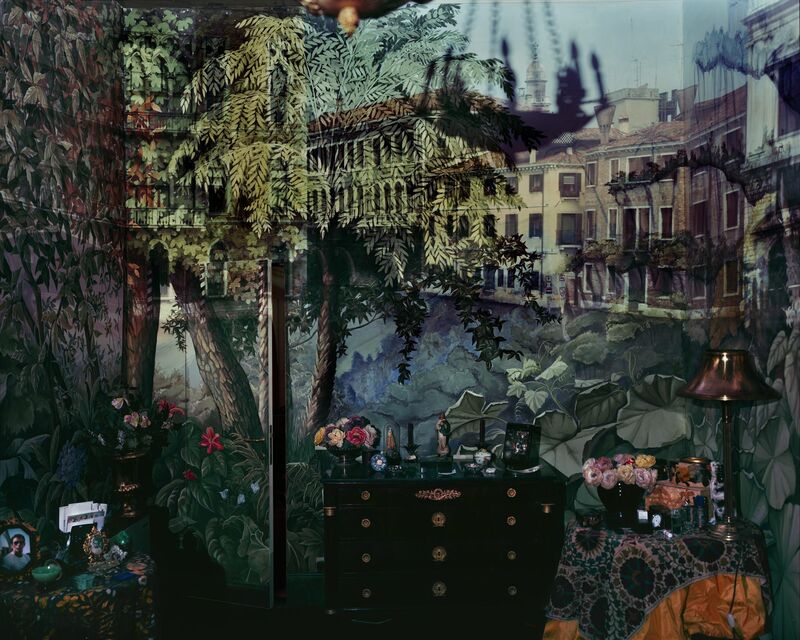 By Lewis Carroll, Photo-Illustrations by Abelardo Morell. Introduction by Leonard S. Marcus. English; 128 pages; 22,5 x 27,5 cm; hardcover. Abelardo Morell: Face to Face. Isabella Stewart Gardener Museum, Boston MA (USA),1998. Essays by Charles Simic and Jennifer Gross. English; 64 pages; 30 x 24,5 cm; paperback. 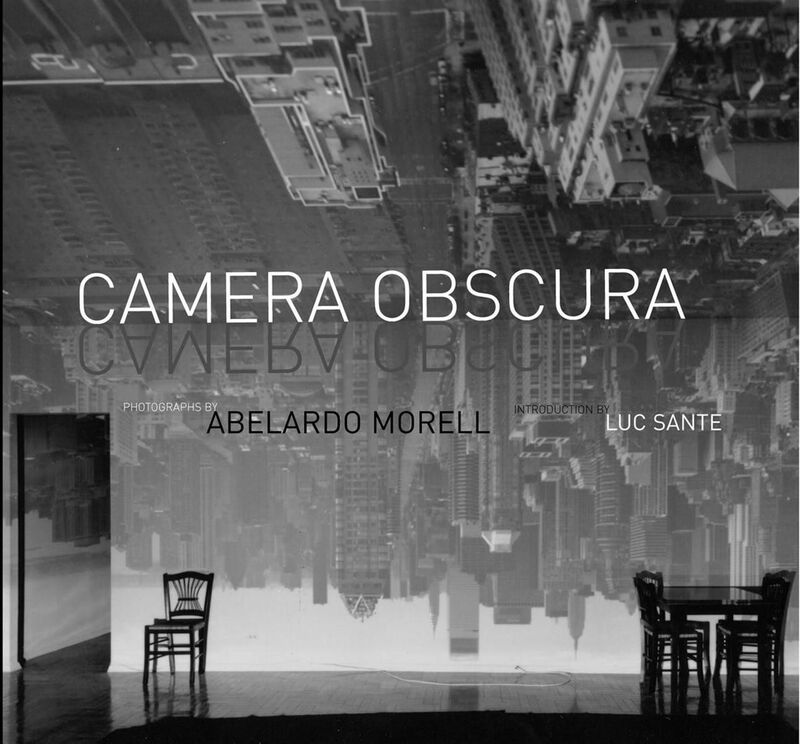 A Camera in a Room: Photographs by Abelardo Morell. 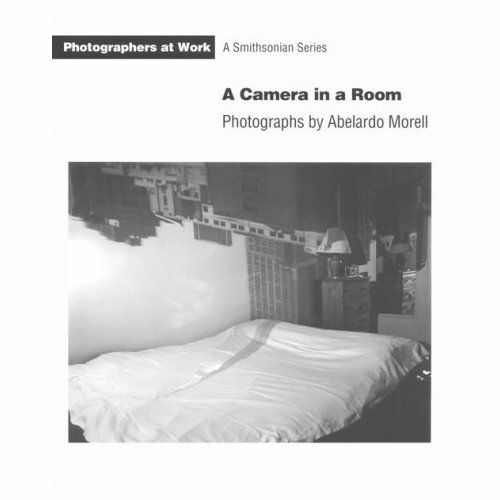 Smithsonian "Photographers at Work" Series, Smithsonian Institution Press, Washington, D.C. (USA), 1995. 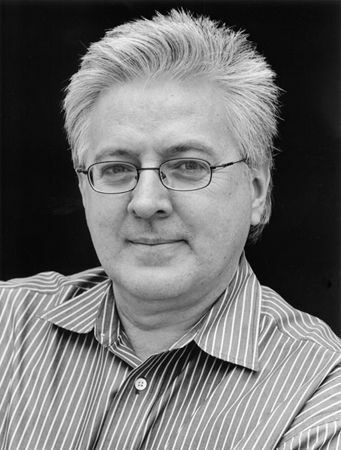 Interview and Essay by Richard B. Woodward. English; 60 pages; 25 x 21 cm; paperback. A film by Allie Humenuk, 2007.